GABICCE MARE – I was mostly surprised today when I read on an Italian newspaper (Il Corriere della Sera) that The Daily Telegraph had listed Gabicce Mare among Italy’s 21 top tourist destinations. Gabicce Mare is a lovely sea-side resort located at about 10 km north of Pesaro which I’m particularly fond of as I used to work at its local Tourist Information Office in my 20’s…(but is Gabicce really pretty or was it pretty back then because I was 20?). Anyway, if you do not want to ride the National fast road (S.S. Adriatica n.16) from Pesaro to Gabicce, you could drive through the scenic road on the S. Bartolo mount called by us locals la Panoramica. The ‘Panoramica’ road twists and turns through the S. Bartolo natural park and gives its best in this season (the season of wild brooms blooming). The article on The Daily Telegraph – which I could not find online – supposedly describes the little town of almost 6.000 inhabitants as a charming exception to the other tourist seaside resorts of the Adriatic coast which look more as ‘family fun parks for tourists’. The Daily Telegraph, so says the Italian Il Corriere della Sera,underlines the fact that close to Gabicce, in the nearbyFiorenzuola di Focara and Casteldimezzo, you may find hidden uncontaminated beaches and tiny peculiar villages. Gabicce is certainly a pretty small sea-side resort on the Adriatic coast with the most welcoming people I’ve ever met. It has nice family-run little hotels (with the greatest cooks inside… mostly sprightly grannies! ), the only kosher hotel in the whole Marche region and many apartments to rent. 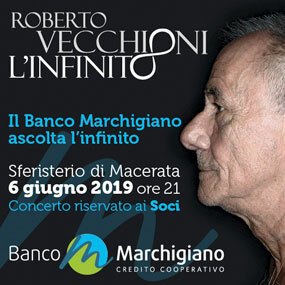 You may want to call at Gabicce Mare during your stay in this part of Italy but I strongly recommend the nearby Fiorenzuola, Castel di Mezzo, the Renaissance Urbino (World Heritage Site), Gradara Castle, Fano and, last but not least, my hometown Pesaro! If you wish to know which are the other 20 top tourist destination in Italy, you may check with the online version of Il Corriere della Sera! L’idea di fondo è quella di superare l’immagine spesso patinata che si ha all’estero del Bel Paese. Non si nega qui che l’Italia sia anche il paese della pizza, degli spaghetti, di Prada, di Leonardo, della mafia – non necessariamente in quest’ordine! – ma l’obiettivo è quello di fare conoscere la vera Italia (d’accordo, anche la verità è soggettiva!) vissuta da un’italiana ‘qualunque’. L’invito dunque è: visitate i luoghi di Raffaello e di Rossini ma, se non desiderate affidarvi a guide turistiche e preferite l’Italia vissuta dagli italiani, allora seguite Simona nei luoghi della sua esperienza quotidiana: una visita ai Musei Civici, una ‘cena in famiglia’ in occasione dell’evento Un Paese e Cento Storie, un laboratorio per bambini in una fattoria didattica, una sosta a Fiorenzuola di Focara sulla strada per una pizza in Romagna, un reportage sulla festa ‘Strade in Musica’ dove lei stessa suona il violino in un’orchestra amatoriale, una gita al Santuario del Beato Sante, una tappa al Centro Arti Visive Pescheria mentre la figlia è a lezione di danza, una cena a tema in un agriturismo (‘A cena col cavolo’!). Come and taste the real Italy!